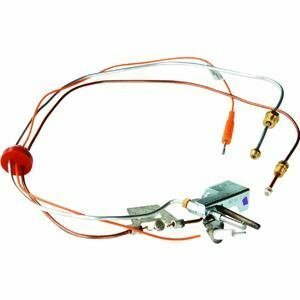 Natural gas pilot assembly, works on the Following water heater 9003488 #'s: 6-40-yours, 6-40-yours-d, 6-50-yort-d, temperature setting 170°ree., please make sure to use the corresponding pilot assembly to the water heater, refer to the tag on the original pilot assembly to match with the new pilot assembly. If you have any questions about this product by Reliance Water Heater, contact us by completing and submitting the form below. If you are looking for a specif part number, please include it with your message.